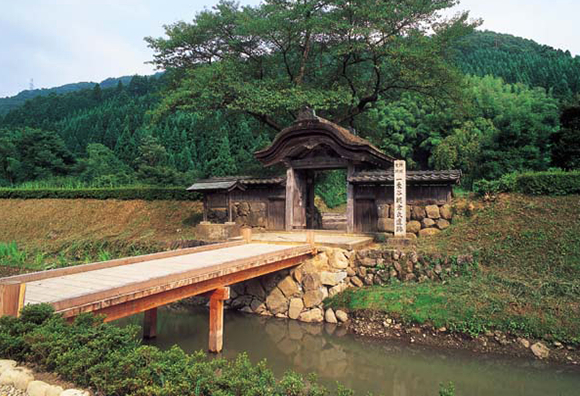 There are many historical spots with rich history and romantic adventure near Echizen Ono Castle in Ono City. When you visit Echizen Ono Castle, we encourage you to visit these places as well. In 1573, defeated in battle against Nobunaga Oda, Yoshikage Asakura fled to Ono, the headquarters of Kageakira Asakura, who was his relative. However, Yoshikage Asakura was betrayed by Kageakira Asakura and allegedly killed himself at Rokubo Kensho-ji Temple. 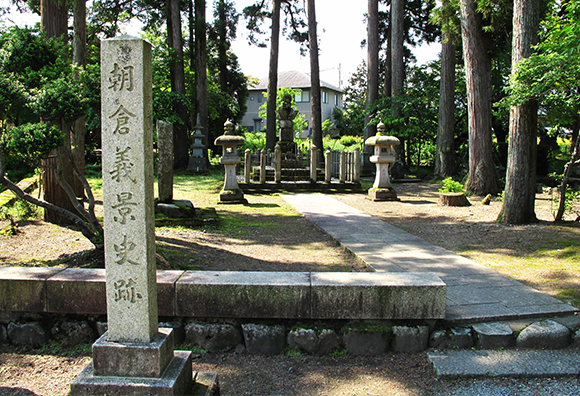 You will also find tombs of the Yoshikage family and their vassals in the park, which has Yoshikage’s “gorinto” (five-ringed tower). Ono City History Museum (opened in 1986) collects, preserves, and displays historical materials in Ono City from the Jomon period (from about 12,000 BC or 14,500 BC to about 300 BC) to the modern period. This museum is a facility that enables residents to deepen their understandings of their hometown. 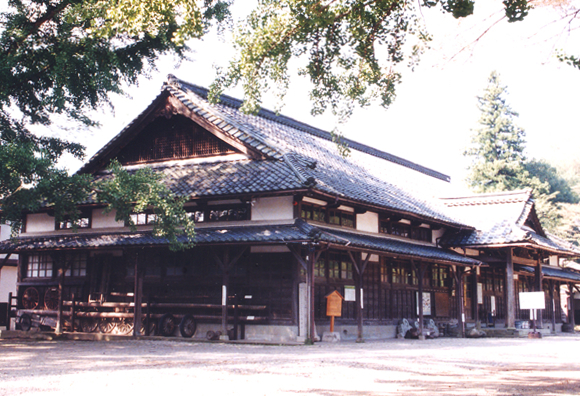 In particular, the museum displays many materials regarding Toshitada Doi, the seventh lord of the domain in the Doi Family. This building was built in 1889 as the Ono Justice Court, which was in use until 1968. In that same year, Ono City took over the main building and the guard room, dismantled and reconstructed them in the current site, and utilized and preserved them as a folklore museum. As a district court in the mid-Meiji period, these are valuable buildings at a nationwide level (cultural properties designated by the city). 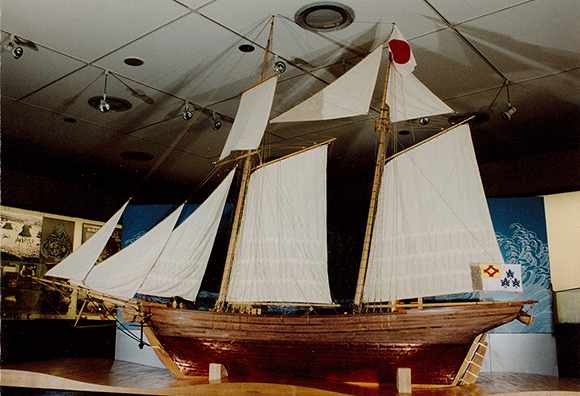 In 1842, under the reform order called “Koshi no Rei,” Shichiroemon Ryokyu Uchiyama, chief retainer, and Ryusuke Yoshitaka Uchiyama, Ryokyu’s brother, did their best to rebuild the domain’s economy. Their residential compound was restored. In particular, Shichiroemon opened the domain-managed stores called “Onoya” in various parts of Japan and carried out successful business. He is well-known as someone with an innate business sense. 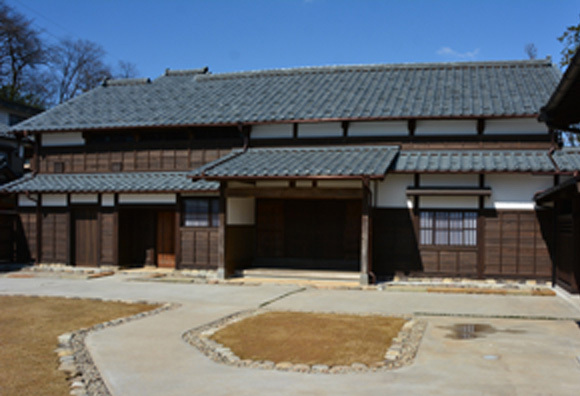 ※You can taste “Matcha” (powdered green tea) at the Samurai Residence: Former Uchiyama Family residence. 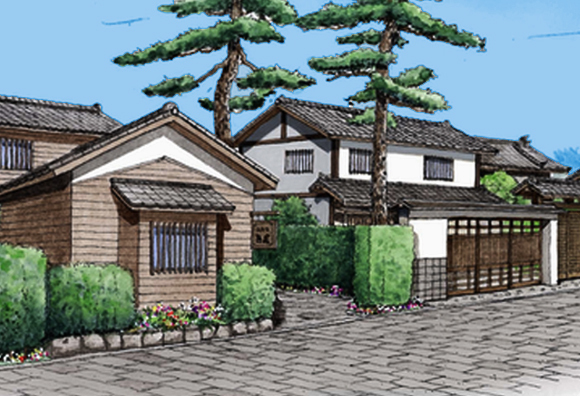 Nagachika Kanamori, first lord of the domain, implemented the town planning in a rectangle manner similar to Kyoto. 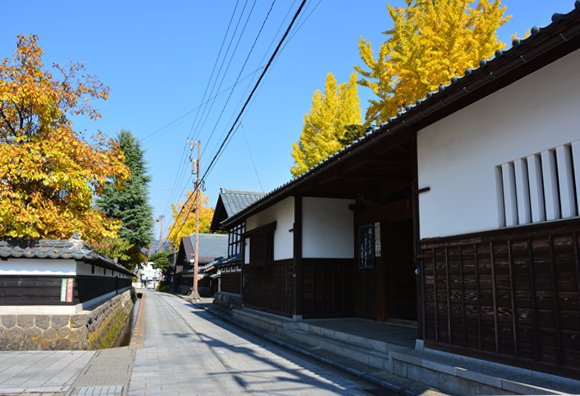 A temple town was created by making Ono Castle as the center and by moving temples to the east end of the town. 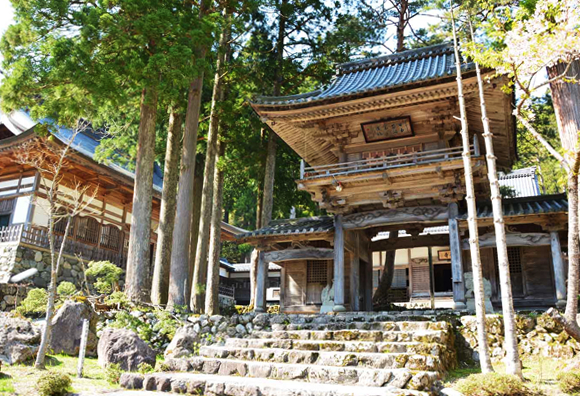 The view of various temples of nine sects lying north and south is a very rare sight in Japan, They represent the tasteful townscape of Ono’s castle town well and continue to bring a calm and peacefulness to people in the surrounding area. 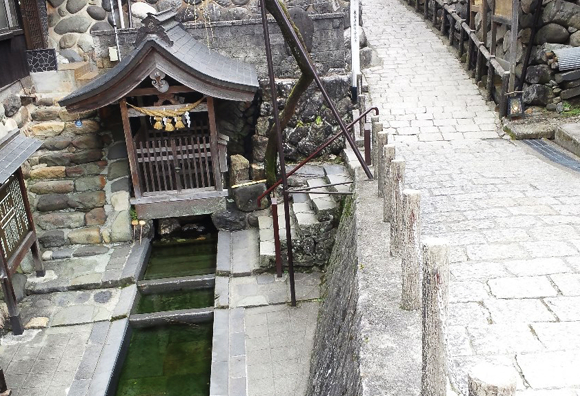 In Ono, the spring water is called “Shozu”. A place with “Shozu” is well known to the citizens as a place to relax. 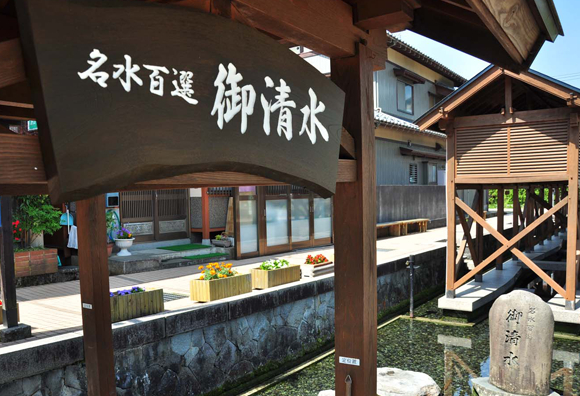 Ono City has many spots where there is spring water such as “Hongan Shozu” that is designated as a national nature treasure, as well as one of the selected one hundred exquisite waters of Heisei. 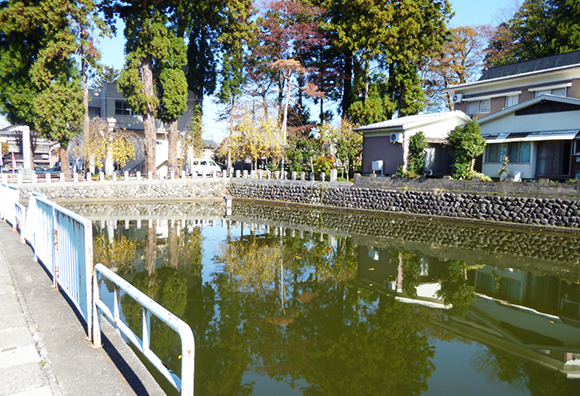 “Oshozu” also became one of the selected one hundred exquisite waters designated by the Environment Agency in 1985. These were old ruins before Nagachika Kanamori came to Ono called “Iyama Castle” or “Dobashi Castle.” Originally, about 670 years ago during the period of the northern and southern dynasties, this was said to be the place where Ujimasa Horiguchi of the Southern Dynasty built his castle. During the period when the states were at war in Japan, it was the castle of Kageakira Asakura. You can still find a part of an outer moat of the castle. 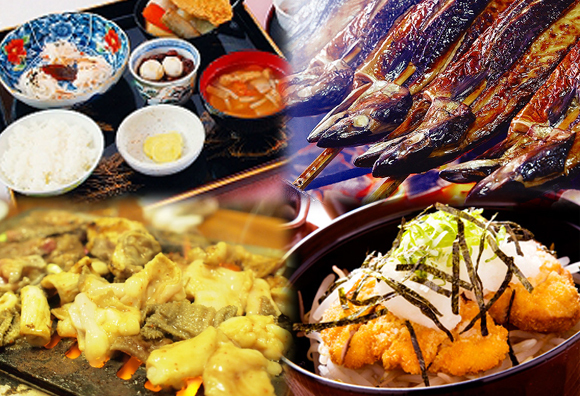 Ono is a treasure house of food fostered by the natural features of the Okuetsu region. Please enjoy agricultural and forestry products made by the blessings of our famous water and our traditional taste here in Ono’s castle town. Ono City has around 10 Japanese inns and one business hotel. You can enjoy a cozy atmosphere, as well as tasty and wholesome food. Please enjoy your stay in Ono. 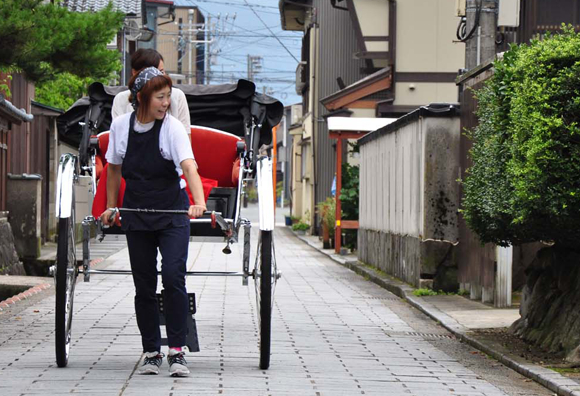 “Echizen Kobushigumi,” a local volunteer group of people, provide tourists with guided tours in “jinrikisha” (pulled rickshaw). On the weekend and holidays, you can see them with tourists within the city. 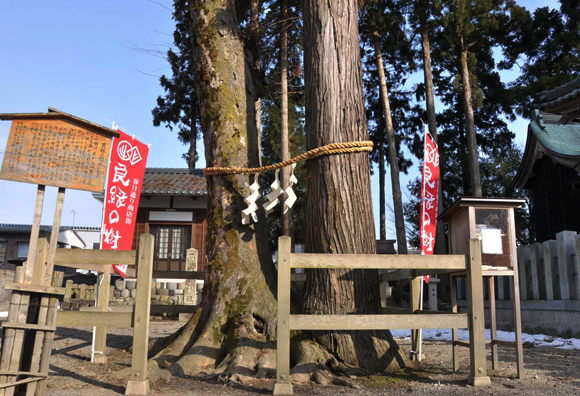 There is a Japanese zelkova and a Japanese cedar that are more than 100 years old in the “Kasuga-jinja Shrine” located on a shopping street in the Kasuga Dori district of Ono City. Because the bases of these two trees are tied as if they were just one tree, people love these trees as a symbol of matchmaking. This is why many men and women from all over Japan visit these trees in search of a good match for themselves. We have been holding a “Light of relationship: tree illumination for matchmaking” attraction for a limited time since 2014. This is the second Bodhi-manda for the Japanese Soto sect　of Buddhism. About 750 years ago, Reverend Jakuen, a high-ranking priest, opened this Bodhi-manda on the border between Ono City and Ikeda Town. This Bodhi-manda is surrounded by the wonder-working cedar forest, and located behind the temple, still remains a huge rock for Zen meditation, where Reverend Jakuen meditated for 18 years. You can experience Zen meditation here if you make a reservation. This is a valley constructed by erosion by the Kuzuryu River from the Kadohara district of Ono City above the Hotokebara Dam to the Izumi district. You can enjoy a series of varying views of Kuzuryukyo when traveling along Route 158, which runs parallel to Kuzuryukyo. 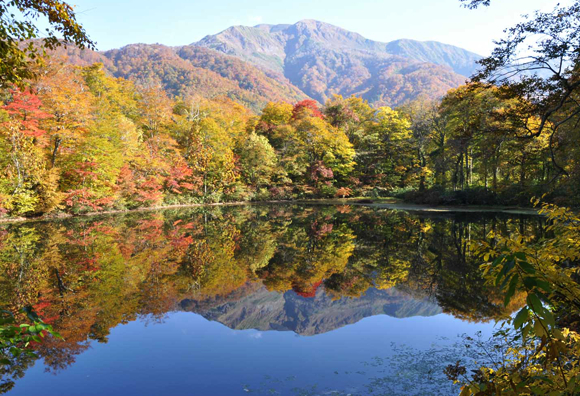 In particular, the scenery is breathtaking during the new greenery of spring and the red leaves of autumn. 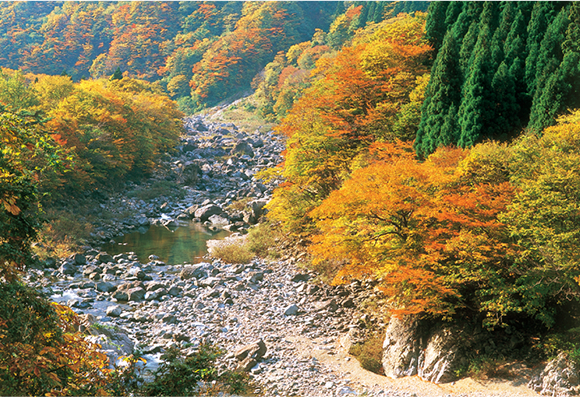 At the foot of Gankyojiyama (elevation: 1,690m), located at the upper stream of the Uchinamigawa River, there is Habagataira surrounded by the primeval forest of Japanese beechtrees and Japanese oaktrees, where Karikomiike is located. It has a circumference of 400m and a maximum water depth of 4.5m. There are huge castle town ruins called Ichijodani Asakura Family historic ruins about 10km southeast of Fukui City. The warring Asakura Family ruled Echizen for 103 years through five successive lordships of the domain. Defeated in the battle against Nobunaga Oda, Yoshikage Asakura fled to Ono, which was ruled by the Asakura family, but he was betrayed and killed himself. Because of this, the Asakura family line ceased to exist from that point onward. Gujo Hachiman located at the upper stream of the Nagaragawa River is famous for its many kinds of spring water like “Sogisui,” one of the selected "one hundred exquisite waters of Japan, as well as the charming townscape of Gujo Hachiman castle town constructed by Nagachika Kanamori’s chief retainer. In particular, a 400-year-old “Gujo Odori” dance is a well-known summer tradition. 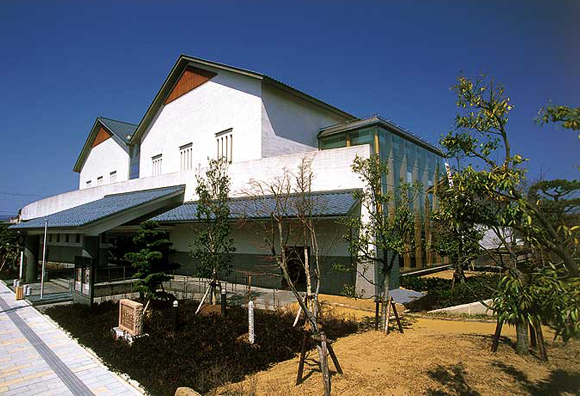 Fukui City History Museum collects and displays materials on our home of Fukui, especially these materials about the Echizen Matsudaira Family. 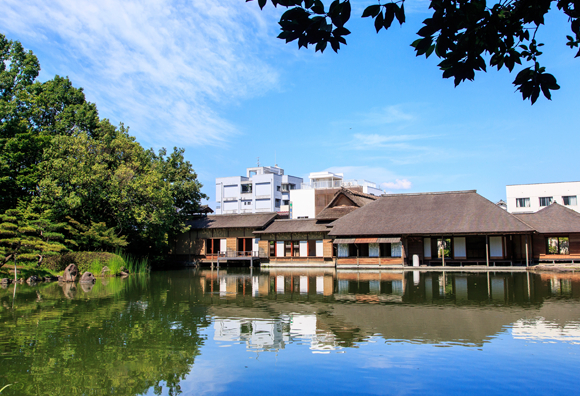 The museum demonstrates Fukui’s history and culture as a “garden of history—an exploring zone” by carrying out permanent exhibitions under themes such as artifacts in the city, like ancient tombs, the Fukui domain, and the castle town. The Fukui Prefectural Dinosaur Museum is a museum of geology and paleontology, with a focus on dinosaur fossils. This museum is located in Katsuyama City, Fukui Prefecture, which has been a major site of dinosaur fossil findings. You can go on a great adventure to learn about the history of the Earth in the museum. 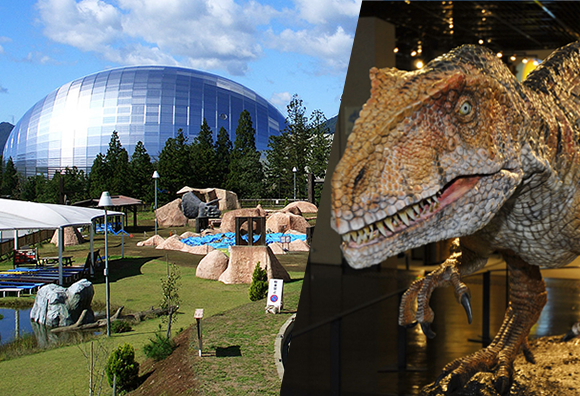 It is full of attractions including more than 40 complete skeletons of different dinosaurs and a large-scale diorama reproducing a forest full of dinosaurs. We highly recommend this museum for families. 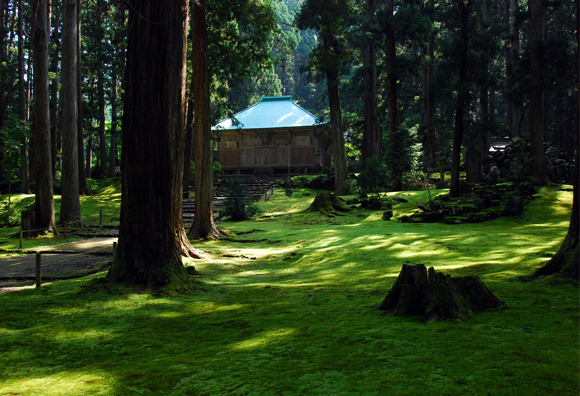 Eihei-ji Temple is the Bodhi-manda for the main temple of the Japanese Soto sect of Buddhism. Reverend Dogen opened it about 760 years ago in 1244. 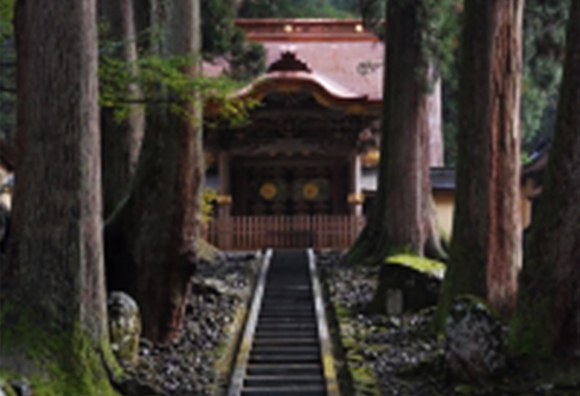 The temple has a huge precinct of 330,000 square meters surrounded by old Japanese cedar trees, which are over 600 years old. You can find “Shichido Garan” (a complex of temple buildings) inside the precinct where strict Zen sect’s practices are conducted even today. 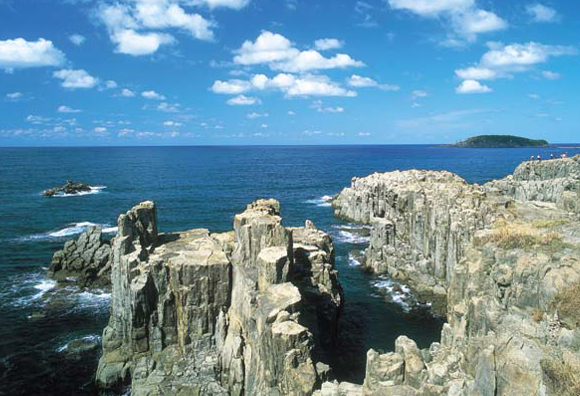 Tojinbo is one of the best scenic spots in Hokuriku, which is 1.5 km of jagged rock cliffs with regular cracks called “Chujo Setsuri.” Tojinbo is designated as a national nature treasure. In addition, you can enjoy nature art such as lion-shaped rocks and candle-shaped rocks from a sightseeing boat. 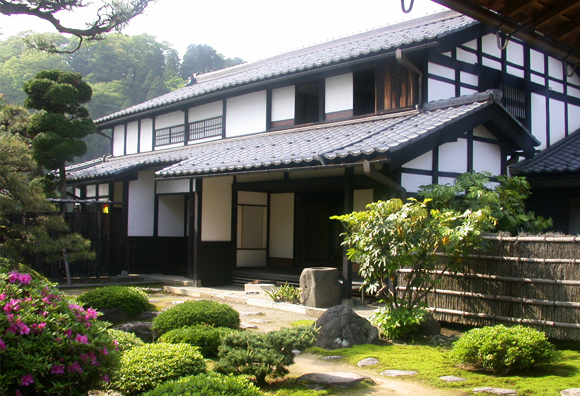 Yokokan is a villa for the Matsudaira Family, lords of the Fukui domain called “Osensui Yashiki” in the Edo period. It is a circular style garden around the pond, which is one of the most representative gardens taken from the mid-Edo period. Shungaku Matsudaira, lord of Fukui domain, named this villa “Yokokan” in the Meiji period.